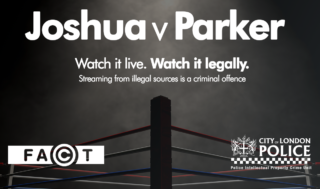 FACT and the City of London’s Police Intellectual Property Crime Unit (PIPCU) are advising boxing fans that dodging payment for the pay-to-view fight is breaking the law. Consumers need to be aware that streaming without the right permissions or subscriptions is no longer a grey area. 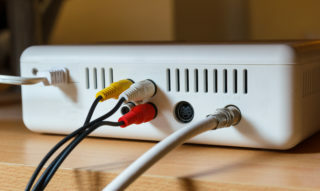 In April last year the EU Court of Justice ruled that not only was selling devices allowing access to copyrighted content illegal, but using one to stream TV, sports or films without an official subscription is also breaking the law. The public should be aware that misusing their TV subscriptions has serious repercussions. For example, customers found to be illegally sharing paid-for content can have their subscription account terminated immediately and can expect to be prosecuted and fined. Last year Yusuf Mohammed of Bristol was ordered to pay legal costs of over £16,000 and to disclose details about the money he made and people he colluded with for re-streaming Sky Sports content online illegally. As well as the costs, Mr Mohammed had to pay Sky damages. Another person was also ordered to pay substantial legal costs for sharing the Joshua vs Klitschko fight on Facebook.